Senior guard Kordell Fulton puts up a shot for Tucker County Thursday night. Gilmer County defeated the Mountain Lions 61-40 to earn a trip to the state playoffs in Charleston. HAMBLETON — A 16-0 start in the first quarter by the Class A No. 5 Gilmer County Titans laid the groundwork for a 61-40 win over the Tucker County Mountain Lions Thursday. Gilmer and their five starting seniors now advance into the state tournament next week in Charleston. 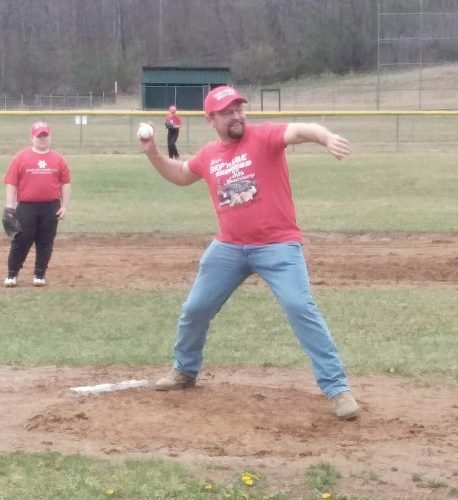 After having made it to the state playoffs 15 times in a row, Tucker is now in the unfamiliar position of having to stay home and look forward to next season. “Gilmer County is a good team and I knew we would have to have a good game to get the win,” second-year TCHS coach Dave Helmick said. “We came out flat to the start the game, got behind and could never recover. “We struggled to score tonight, and we couldn’t get stops on defense to get back in it. You have to be able to defend and score to beat a good team like Gilmer County. “I am proud of this team for their season’s accomplishments. They fought hard and improved as the season progressed. We were playing our best basketball at the right time (but) tonight just wasn’t our night,” he said. Tucker County junior guard Wesley Snyder tries to turn the corner against a Gilmer County defender Thursday night. Tucker County ended their scoring draught at 2:23 in the first quarter, and trailed 17-8 after the game’s initial eight minutes. An assault of Titans shots from behind the arc helped GHS stay out in front with a 35-19 lead at the break. With the visitors winning all four quarters in the scoring column, a dismal night from the field for the Mountain Lions gave way to Gilmer punching their ticket to Charleston. Trading baskets and missing a high percentage from 3-point range did not help the Mountain Lions down the stretch. Gilmer was up 50-33 to start the fourth quarter before pacing themselves to outscore Tucker 11-7 in the final frame. 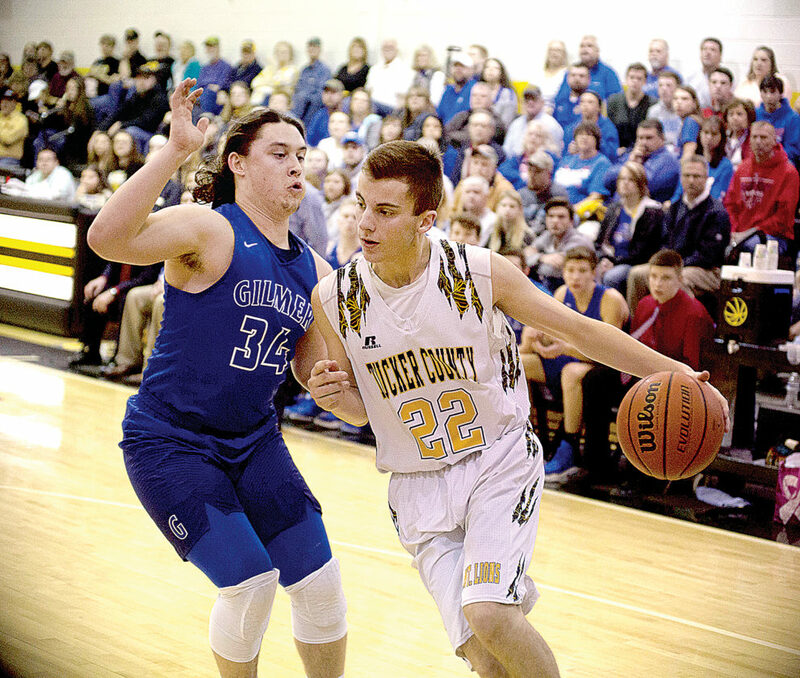 Ethan Crosten was a bit shy of his 23 points per game average, finishing with 11 during his final contest for the Tucker County basketball program as its newest member of the 1,000 career points club. Jakob Cousin nabbed 10 in the scoring column, while Corrick Ambrose garnered 8 points. Kordell Fulton and Wesley Snyder scored 4 points each for TCHS. Tucker finished the season with a 16-11 record. 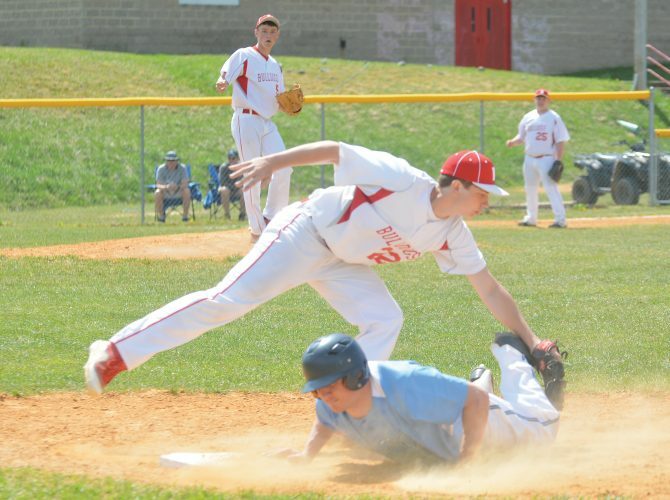 The Mountain Lions won a pair of important contests by besting Pendleton County, 2-1, in overall Potomac Valley Conference and sectional action this season. 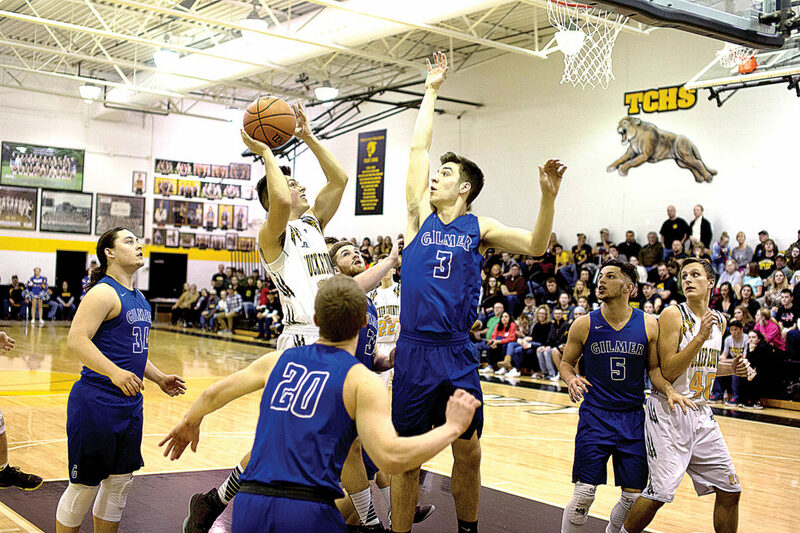 Tucker won home court advantage for Thursday’s game, while the Pendleton County Wildcats had to go on the road to Notre Dame for a Class A contest in Clarksburg.